The final issue of this horror mini series from Devil’s Due Comics is here, and here are my thoughts on the finale! We’re at the end here – Abby’s anchor to the world has been burnt – the penguin toy. And she’s got her revenge on her parents. Is she at an end of her journey? In this issue, we get some more of Abby’s history. What happened to her, and those involved. We also get the investigation into the deaths. The real world investigation is obviously not prepared for what really happened. This was a really heartfelt issue. The thirst for some sort of vengeance is there for Abby. The penguin makes a lot more sense too. For some reason, even as a ghoul, Abby seems incredibly fragile. The conclusion to this issue, even in some sadness was well done. There is a peace of a sort and it fades away. The art is excellent, with some nice colouring too, the changes in scenes fit so well, and you don’t get lost in any part! 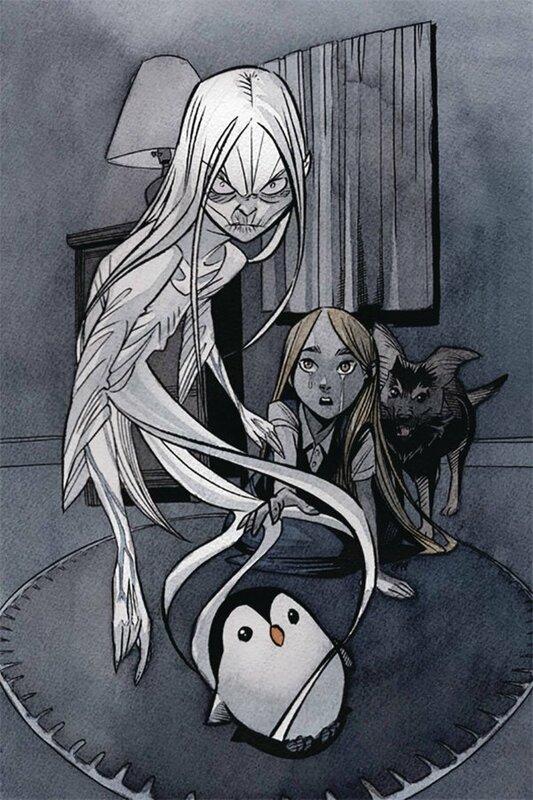 This has been an excellent mini series, with a well thought out plot, good art and some creepy moments. All the parts fit together well, and I loved the conclusion.